Good marketing relies on good design. However, there are two steps to take before you create your visual communication strategy—which should constantly be reviewed just like your marketing plan. Based on my research and experience, all buyers must go through two decision gates before they enter the buyers’ inner circle and purchase your solution. Pain. The buyer is in pain. Pain can range from mild (emotional or physical) discomfort to excruciating pain. If the pain of staying the same is greater than the pain of change, the buyer will decide to buy. Gain. The buyer desires a benefit. Gain can come from altruistic behavior like donating to a charity or driven by the pleasure eating a favorite cake or be motivated by greed such as investing in a pyramid scheme. If the price to achieve the benefit is lower than the perceived value of the benefit, the buyer will decide to buy. Fear. The buyer is afraid of loss. Fear is instigated by many variables such as guilt, scarcity, compulsion, and safety. Fear of loss is 2.5 times more motivational than gain. Trust. The buyer must trust the solution and solution provider to buy. Think of all the places from which you buy your groceries, clothes, technology, books, and so on. Do you trust them? Of course, you trust them to deliver on their promise (or at least enough of their promise of good services, quality products, fair prices, timeliness, etc.) to feel you are not being taken advantage of. Unless there is no other option, trust is required to buy. Ego. The buyer is relying more on emotions when making a purchase. Why do people pay more for designer clothes, cars, computers, and phones? Ego buyers are influenced by their emotions then justify the choice. For example, many consumers stay with specific brands partly because of the strong emotions and defined image associated with that brand (e.g., Jeep, Apple, Disney). Familiarity and visibility are required in all ego buys. Value. The buyer needs their problem solved. The questions the buyer asks are things like“Does it do what I need, when I need it, how I need it, at the price I can pay?” Features and functionality, convenience, cost, and price help buyers determine value. In order to decide if the derived value is favorable, the buyer must have a point of comparison—and anchor. If there is no obvious anchor, a buyer will make up an anchor even if it isn’t a fair comparison. If your solution is so innovative that there is nothing on the market that is like it, the buyer will have a difficult time determining value. In this case, give the buyer an anchor so that they can decide if your solution offers greater value. Know Your Brand. What do you want to be known for? Decide the first thing that should pop into your prospect’s mind—emotions, concepts, ideas? What is your brand promise? Focus on emotions as much as your solution. All buying decisions must go through an emotional filter. Use pictures, graphics, and stories to tap into emotions. Familiarity breeds trust so consider leveraging well-known solutions, products, songs, stories, designs, sounds, and (perhaps) smells. For example, if your target audience prefers Microsoft products you may want to have your product endorsed by Microsoft and include the MS logo in your branding (with permission). Market Analysis. Conduct a market SWOT (Strengths, Weaknesses, Opportunities, and Threats) analysis. Why will people buy you/your solution and not your competitor’s? Be sure the reasons are unique. (“Me too” is the number one sin I see in proposals and it seeps into marketing.) Avoid things like, “People buy us because we are a trusted healthcare solution provider.” It is too generic. Many others can say the same. Also, determine why people won’t buy your solution. Budget. What is your marketing budget? What is your budget for each part of your marketing plan (e.g., television ads, whitepapers, trade shows, etc.)? Unless you have an aggressive marketing strategy, I recommend allocating 10% of your annual gross revenue to marketing. Your marketing plan should be a “living document.” Evolve the plan as you gain insight into what works and what doesn’t. 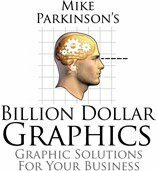 In 2012, I launched a new product and website called Get My Graphic—downloadable infographics you edit in PowerPoint. I thought I knew how my target audience would use the website and the graphics. I was wrong. I learned through tracking and feedback that I had a much broader audience so my marketing plan changed to accommodate the new insights. (I thought I knew who my target audience was. I was wrong.) Instead of relying on a word-of-mouth marketing approach one might apply selling into a single vertical, I now focus on marketing techniques like Search Engine Optimization (SEO) that exposes the solution to a broader audience. I uncovered a little more information about my users each month and tweaked my plan marketing accordingly. You now have the foundation needed to improve your success rates using effective marketing. The secret is to have a marketing plan and measure the results before making changes. Give your plans enough time to track the results so that your choices are objectively defensible. Over time, this data will paint the picture of your success.